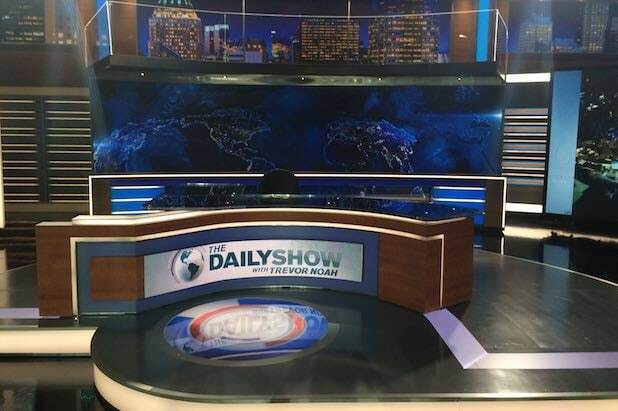 TheWrap has obtained a new photo of Trevor’s Noah new “Daily Show” set. In addition, Comedy Central told TheWrap on Friday that Noah’s debut behind the show’s news desk will be simulcast across all Viacom networks, such as MTV, VH1, BET, Spike, Logo, TV Land, and Epix. Comedian Kevin Hart will be Noah’s first guest. Others will include Bumble CEO Whitney Wolfe, GOP Presidential candidate and current New Jersey Gov. Chris Christie, and Ryan Adams on Thursday. Noah is taking over “The Daily Show” following Jon Stewart‘s departure from the program in August after 16 years on the air. 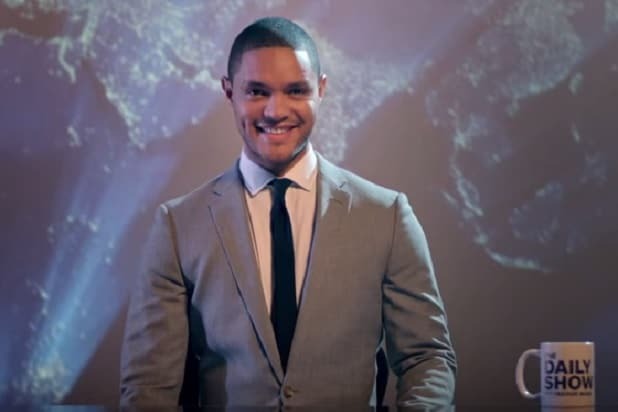 Trevor Noah will debut on “The Daily Show” on Sept. 28 at 11pm/10c.